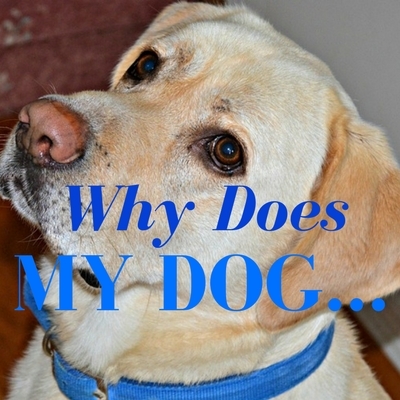 Welcome to the launch of my new “why does my dog” series. It’s very important for me to provide you, my valued readers, with the most helpful information I can, so your senior dog can have the absolute best life possible. As a pet care consultant, dog trainer and champion of seniors, I am asked a lot of questions about older dogs and they always start with the words “why does my dog…” That’s when the idea of writing a series of posts, each one addressing a separate question was born. I truly hope you enjoy this series, and if you have a question you don’t see a post on yet, please send it in and I will reply to you personally. To ensure you never miss a “Why Does My Dog…” post, or any post for that matter, just sign up for my weekly emails with links to all articles published the previous week.